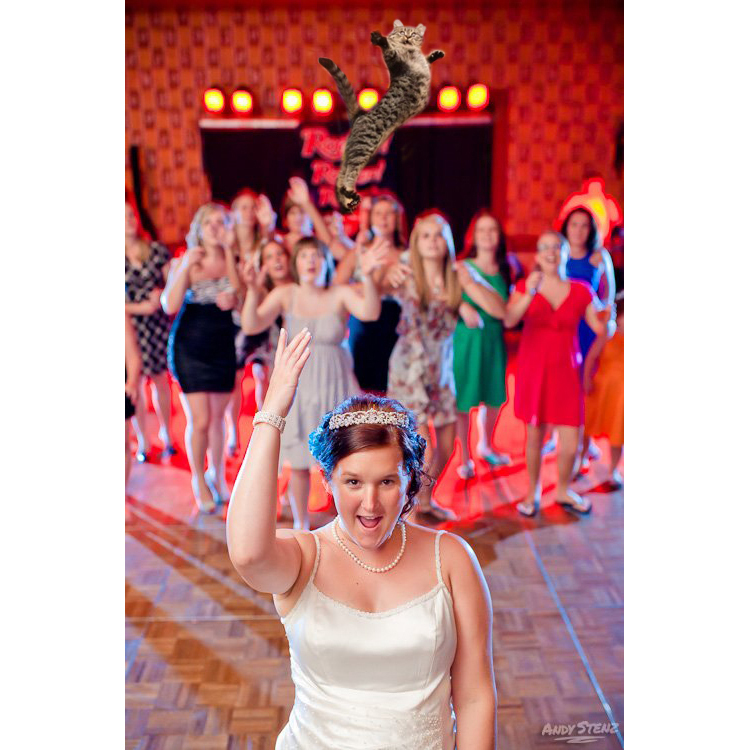 Brides throwing cats – a new tumblr about weddings and cats ! 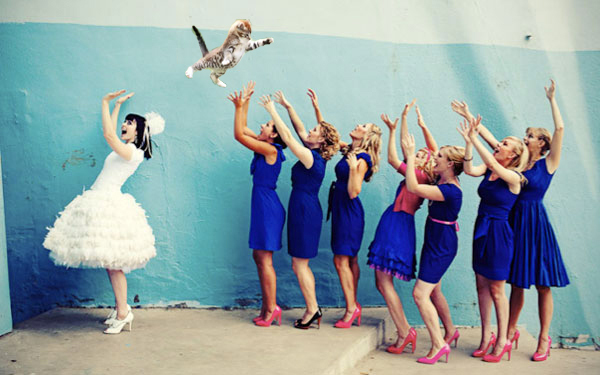 Do not worry, this is not a new trend in the wedding world, just a funny tumblr that mix brides and cats. I am not a web specialist but I believe that cats’ pictures are very very numerous on the web, such as wedding pictures are. That’s why this tumblr is quite funny because this is a mix between 2 big trends on the web. Indeed, the pictures are not real pictures but photomontage. Cats were not injured ! This is just a funny way for our team to wish you a nice start for this new week. 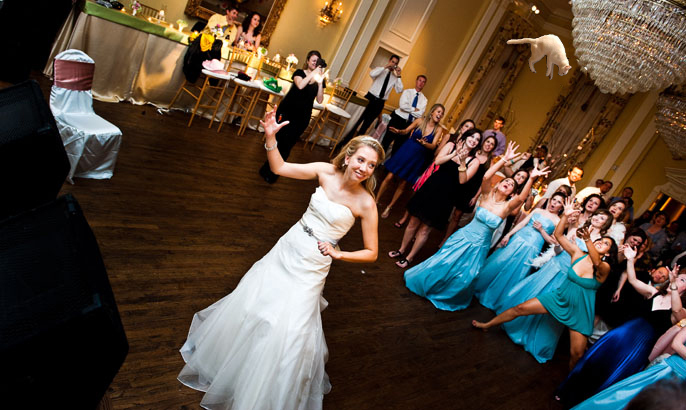 I am sure you’ll appreciate these pictures, because brides have a lot of humor too !! 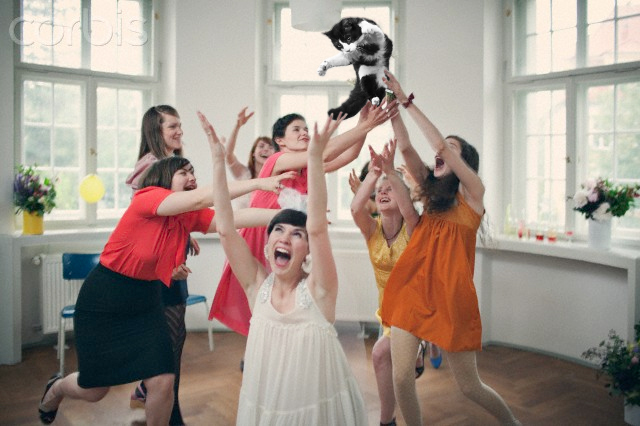 As you can deduce, cats are replacing the bridal bouquets.